Light has long fascinated mankind and man-made light source had gone a long way since Edison. The latest trend of light source belongs to LED, a semiconductor light source that emits light in a far more efficient and cost effective way than can-descent lights. What exactly is LED? LED is short for Light Emitting Diode, a multi-color light source that emits color lights based on the movement of electrons in a semiconductor. Different chemicals produce different colors in LEDs: it can be either infrared or visible. LED has long been in many electronic goods including cameras, digital clocks, televisions and more. In particular, its presence in the retail world is ever prevalent with outdoor and indoor LED Signs. Lighted signage creates an additional visual effect which further distinguishes itself from traditional signs, making it a more effective advertising tool. LED has a variety of applications in outdoor signs: from LED display, electronic business signs and custom signs, to channel letter signs, its versatility is indisputable. 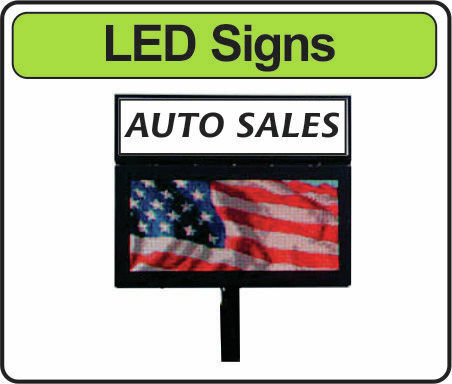 Sign Guys is a LED Signs manufacturer that specializes in indoor and outdoor signs. MySignGuys.com has the best prices and is known for its quality products, every-day low prices and friendly services.